The 2015 Call for Entries is here! Look under Race! Please distribute it widely. Also suitable for printing & posting! Show Off Your Racing Sculpture Concept! Show off your design concepts for the next sculpture race! There will be a mini-poster show and demo event on the last day of the Cambridge Science Festival at the MIT Museum on Sunday, April 26 from 11 AM to 1 PM. This will be a very active day at the Museum, because of the Science Festival, and because it is a Museum free admissions day. 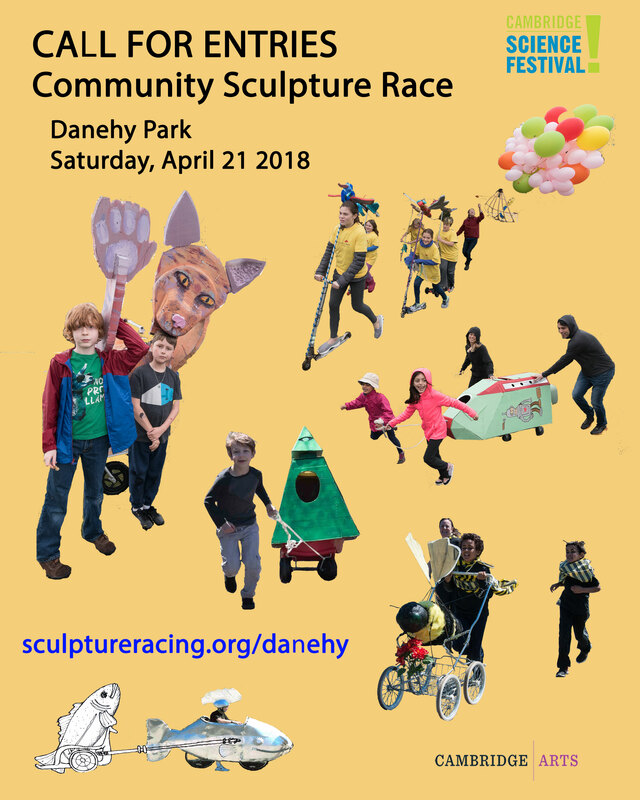 We are delighted to announce that World Sculpture Racing Society CoFounder Geoffrey Koetsch will speak on the history of sculpture racing in Cambridge! Everyone is encouraged to contribute a design. Schematic or prototype should demonstrate fidelity to the sculpture racing design and engineering guidelines. Conceptual graphics are also welcome.